(ASBURY PARK, NJ) -- One week before starting a European tour, The Coathangers - an all-female garage band - will perform at Asbury Lanes. The band will be in Asbury Park on Wednesday, April 17th at 8:00pm. Tickets are $15. Big Bite will open the show. Few bands make it out of the basement and even fewer survive more than a couple of years. The ability of The Coathangers continue to thrive with original members Julia Kugel (guitar/vocals), Meredith Franco (bass/vocals), and Stephanie Luke (drums/vocals) is a testament to both their music and the genuine spirit of camaraderie that drives it. It took an extended break in 2018 for the trio to reflect on their accomplishments and regroup with a fresh perspective. This newly restored unity is immediately evident on their latest album The Devil You Know. 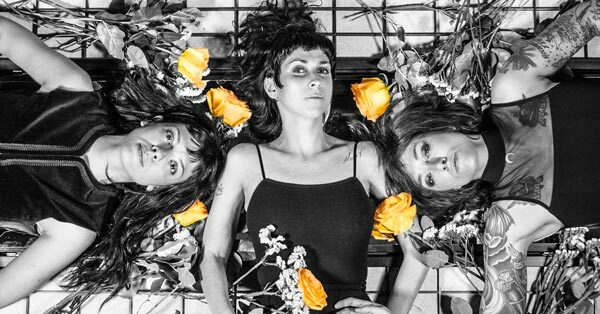 As a statement on moving forward and abandoning the baggage of the past, The Devil You Know succeeds in capturing the arduous road to maturity while striking a perfect balance between the fiery spirit of their youth and the psychic creative interplay of a musical bond that has held The Coathangers together for over a decade. Asbury Lanes is located at 209 4th Avenue in Asbury Park, New Jersey.